Narni is a typical village in Umbria, near Terni, and it is one of the most ancient cities of the region; indeed its origins date back to pre-Roman times. Today it is also famous for the book and movie series Narnia, which name was taken from the Roman name of Narni. It is known that Narnia became a Municipium, gaining considerable importance both economically and politically, then the city became part of the territories of the Church and, during the exile of the Pope in Avignon, it managed to extend its power over neighboring territories. Narni assumed great importance during the medieval and Renaissance period, when, thanks to the presence of important artists and writers, the main civil and religious buildings were built, which now enrich the history and beauty of the country. 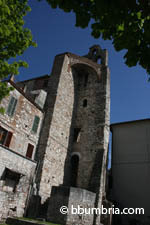 Of particular interest is the fortress, which was built by the will of the Pope, the cathedral built in the Romanesque style, in which several important paintings are held, the Church of San Domenico, which today houses the library in the city, the Church of Saint Margaret, the Church of San Francesco, built in 1200 and the Church of Santa Restituita. Outside the city there are other churches, such as the Church of the Holy and Abbeys Pudenziana of San Cassiano and Sant'Angelo in Massa, containing some important works. Among the buildings we mention the Palace Scotti, the Palazzo Comunale, which was built in the second half of 1200 and which houses a painting representing the Coronation of the Virgin attributed to Ghirlandaio and finally we mention the Gardens of San Bernardo, of particular beauty and from which you can enjoy the magnificent panorama of the valleys below. Around Narni you can see many interesting places, such as the villages of Capitone, Gaudamello, singular town divided between the old and new, and finally Nera Montoro. 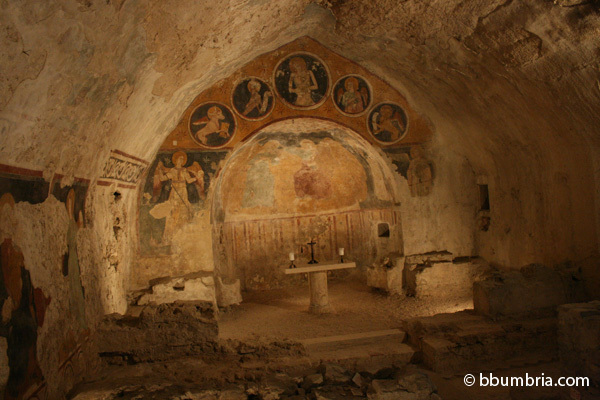 Recently an old Church and other rooms have been discovered under Narni. Documents proved that the rooms where part a court and a cell of the Inquisition in Narni. They're visible thanks to Narni Underground. Have you got any suggestions about Narni, errors to report or comments about the city of Narni? Write us!